FIRST (For Inspiration and Recognition of Science and Technology) was founded by inventor Dean Kamen (inventor of Segway, a two-wheeled, self-balancing personal transporter) to inspire young people’s interest and participation in science and technology. FIRST is a 501 (c) (3) not for profit, public charity based in Manchester, New Hampshire. FIRST is volunteer-driven and built on partnerships with individuals, businesses, educational institutions, and government. Some of the world’s most respected companies provide funding, mentorship time, talent, and equipment to make FIRST’s mission a reality. FIRST commenced in 1992 and this year is the 30th season of the FIRST® Robotics Competition. The theme is DESTINATION: DEEP SPACES Presented By The Boeing Company. FIRST combines the excitement of sport with the rigors of science and technology. FIRST calls the Competition the ultimate Sport for the Mind. High-school student participants call it “the hardest fun you’ll ever have.” Under strict rules, limited resources, and an intense six-week time limit, teams of students are challenged to raise funds, design a team “brand,” hone teamwork skills, and build and program industrial-size robots to play a difficult field game against like-minded competitors. It’s as close to real-world engineering as a student can get. Impact Hub Harare seeks to enhance STEM education in Zimbabwe through this programme. Its not only about science and technology, this programme will also build students’ soft skills, help them to work in teams, meet friends and learn about other cultures and countries. 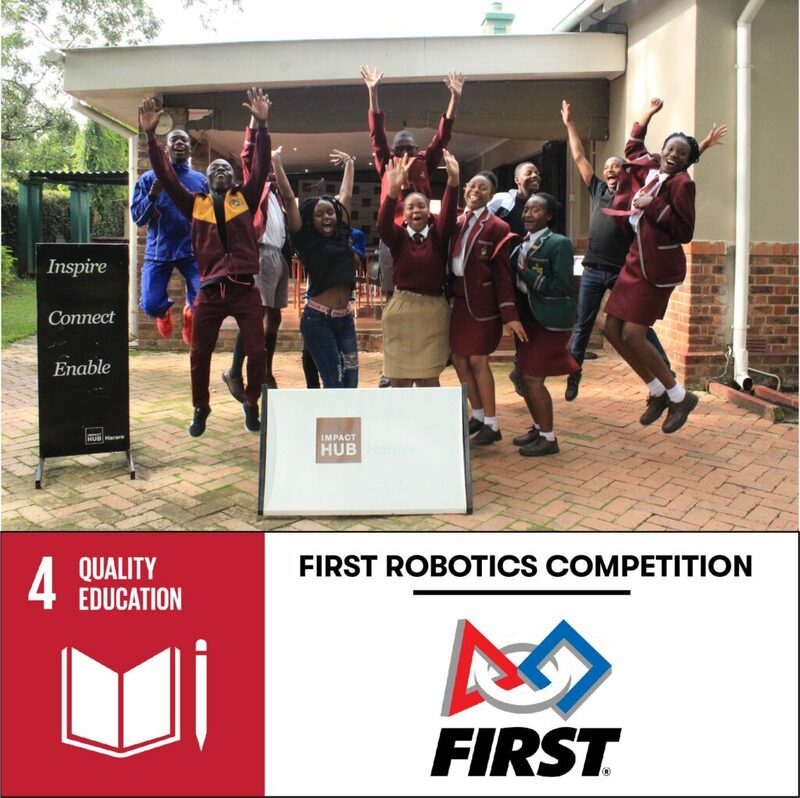 Zimbabwe would be the second African nation to participate in the First Robotics Competition after Ethiopia! I am Danai Ellaine Hakata from Tynwald high school. I was introduced to robotics in 2017 for the FIRST global challenge. I was privileged to take part in this year’s challenge, and I’m looking forward to more robotics challenges. There are quite a number of reasons why I would like to join robotics. Firstly it is a fun way of learning how to solve problems. Furthermore, it promotes logical thinking as well as building essential social skills as we work in teams. It is the future and I would like to be part of it. 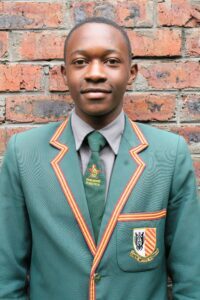 My name is Tadiwanashe Mapanga, I learn at St Ignatius College.Prior to joining the robotics team, I had no history with robotics. I joined robotics because it involves both mechanics and electronics which are my subjects of interest. I want to come up with my own ideas, introduce new machines and improve existing ones. 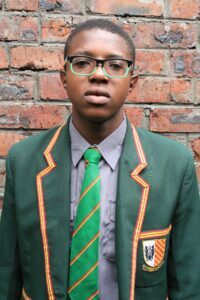 My name is Ngonidzashe Muzenda and I attend Mount Pleasant High School. 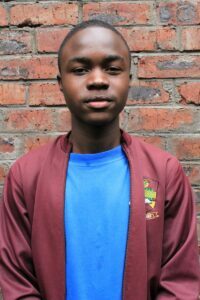 I joined the IHH Robotics Programme because I want to change the world through technology and science. My dream job is to become a computer engineer. My name is Tamuda Chimhanda. I’m 16-year-old learning at St Ignatius College. I started robotics when I was 11. I would use Lego blocks to build and create things. Funny how it fascinated me and how I was so keen to put life into those blocks. Later on, I was introduced to robotics at Courtney Selous, my previous school. There I came up with several designs which could be used to work hand in hand with humans in different areas in Zimbabwe. My dream and the ultimate goal are to use robotics to change lives. I would want to apply robotics in areas like mines where it can collapse while people are underground, or when deadly infections like Ebola, where a silly mistake would go with your life. I joined FIRST robotics because it prepares me for the future that lies ahead of me. It builds the foundation I need for my dreams. I would want to become a robotics engineer in the future, so I think this is a step in the right direction. I’m Don Harrison and I’m 16 years old .I joined robotics because science with anything to do with computers is my passion! 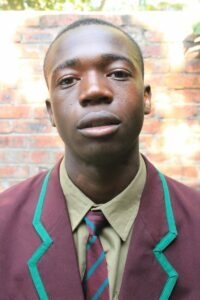 I’m Simon Mzariri from Gutu high. I have been in robotics for three years as a coach. As I was growing up, people like Steve Jobs inspired me to become someone great. Robotics is the only thing I can do because electronics is my talent. Robotics is important to Zimbabwe because it brings a lot of changes. It has the potential to change our economic status, and it also changes the way we think. 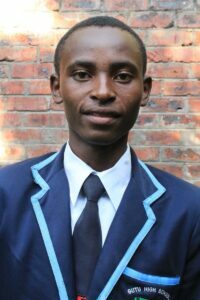 My name is Gabriel Matemba, and I am a boy aged 17 years old currently doing my ordinary level. I was first introduced to SEITT and won awards including provincial awards in that competition. 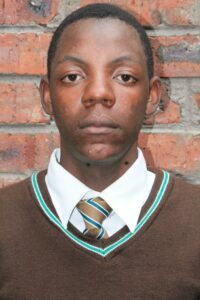 I later joined robotics the same year in form one at Harare High school. I had a passion for STEM and proceeded with it. I was selected to be part of Team Zimbabwe Robotics in 2017, and we did well in Washington DC, USA. We came position 17/163. I was again doing my science inventions, and I invented my first hit project of “Producing Electricity from waste” and it went viral. I had many interviews including one on Voice Of America and on ZBCTV on a programme called “Moments of Greatness”. I continued with robotics and was chosen to be part of Team Zimbabwe Robotics, and I went to Mexico City where we managed to win the bronze medal for most the courageous team. 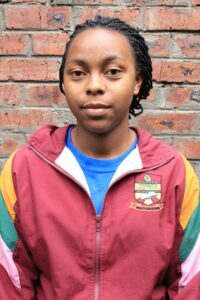 In the team, I am an all-rounder I can design, build, program and control the robot. I like robotics because it improves my engineering experience and allows me to deal with physical components making something innovative. It opens up my mind so that I can be able to make some things smart and easy to tackle a certain problem. It also improves my communication skills, cooperation, and co-petition while working with the others as a team. It also gives me a chance to market my science projects. Above all, I joined robotics because I have a passion for it and I like it very much. When I grow up I want to be a software and electronics engineer. 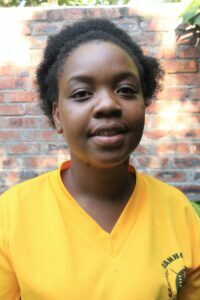 My name is Letticia Vanganayi and I’m a L6 student at Harare High School. I was part of the technovation challenge in 2014 where we created applications that solve community problems. I represented Zimbabwe in Mexico where we won a bronze medal in the Courageous Achievement category. I joined robotics because with robotics you can create anything you imagine. You can also create what our parents and scientists would consider impossible. I want to prove and motivate other young ladies out there that robotics is not for males only, but girls can also do it. We want to eradicate technology illiteracy among the youth, and make sure that Zimbabwe will participate effectively around the globe in terms of IT because we now have the knowledge on technological advances like robotics and artificial intelligence. When l finish my studies l want to be a software engineer. My name is Mukudzeishe Shyleen Shantel Kasukusa. I am currently learning Business Management and Information Technology at Catholic University. I have no history with robotics, but I have a lot of reasons for joining robotics. These reasons include: to be able to apply the theory I am learning at school into something practical and do something outside the box; to challenge the society’s norm of undermining the girl child in the IT field; to be something bigger than myself, working together with others to achieve a common goal; to improve my social interaction skills as well as strengthening my leadership skills which will help me in the future. My career plan is to become an IT personnel operating across nations. I would like to work in firms of management consultants, software and systems houses within large manufacturers of computing equipment, or occasionally internally in major industrial companies. 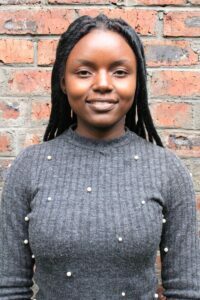 I desire to work in partnership with clients, advising them how to use information technology in order to improve the structure and efficiency of organizations IT systems. Part of my career goals/aspirations is to gain growth in resources, that is upgrading my knowledge and resources to grow as a professional, better salary, job satisfaction, experience such as learning about the cultures of different countries, meeting new people, and basically becoming more familiarized with customs and traditions worldwide. Accomplishing this goal is a long journey since I am still an undergraduate student but every long journey begins with a step. It is a challenging and technical aspiration though I have a passion for it because it is my dream. After that I want to have my own software incorporation with a group of professionals I will be overseeing as a CEO because of the skills I am gaining from my dual degree program which combines business management and the IT field. I would also like to give back to my country by creating opportunities for girls to venture into the IT field, by giving scholarships to passionate girls that do not have the resources to fulfill their dreams.